So you have a game, and you want to get regular builds for people to test. Now you can do a build yourself , but you’re not a philistine are you? You want to use Continuous Integration (CI). If you don’t know, CI is where a server somewhere builds your projects for you when you commit changes. The idea being you script up the steps you need doing and let the server do all the hard work. I’ve used this on many occasions. Any time I find myself doing the same job more that twice, I’ll think about scripting it or getting a machine to do the job. Now there are allot of CI systems out there, Team City, Jenkins, TFS to name a few. However this post is going to concentrate on the free offering of Travis CI. The reasons for this are, firstly its free, secondly it offers Mac hosts. Having a Mac host in the cloud for a CI system is quite a unusual thing. Signing up for travis is quite simple. Head over to https://travis-ci.org and Signup with your Git hub account. It will ask you which repositories it needs access to. The process is really simple. Note that https://travis-ci.org is the open source free offering for projects which are..open source. Travis CI does offer paid for services for close source projects but the setup is pretty much the same. The core of Travis CI is that is looks for a very particular build script, `.travis.yaml`. If you have this file in the root of your repo, Travis CI will use it and run the build. It can work without the script, but I prefer to script things since it gives you more control. This snippet tells Travis CI that we are a C# project (this is MonoGame right 😉 ). We also define the name of the Solution we are going to build. The next step is to define the operating systems we are running on. In this case osx. We also setup some global variables which can be used later. Note they also support linux, and docker based images. So if they don’t have the exact system you want, a docker image might work. The great thing is that Travis CI will automatically realise that we need Mono installed. Because we are using C# on mac, so that will be taken care off. It will grab the latest stable releases from Xamarin. By default Xcode is installed as well (on osx), so you can use this to build iOS apps too. But we need MonoGame..
- wget -O MonoGame.pkg "http://teamcity.monogame.net/guestAuth/repository/download/MonoGame_PackageMacAndLinux/.lastSuccessful/MonoGame.pkg?branch_MonoGame=%3Cdefault%3E"
what this code does is download the latest development branch from the MonoGame CI system. And then install it! Very cool. The end result will be your Mac bot will have all the Pipeline tools an assemblies installed and ready to use. Now if you want to just get the latest stable release you can use the following url. Note the “%3E” characters are required. The next step is to build the project. So we add the following. First thing is to do a Nuget restore. For this project I am using the Remote Effect Pipeline extension from my previous post, so I need to make sure that package is in place. But if you are using MonoGame Nuget package you will need to do this as well. Next step is to build the app, as normal. Rather than building the entire solution I am building a specific project. But if you want to build both iOS, DesktopGL etc you can setup a configuration in the Solution which just builds those projects. Not much too it is there. If you have an open source project (or a closed source one) there is absolutely no reason not to setup some sort of Continuous Integration. One of the issues MonoGame Mac (and Linux) developers face is not being able to build shaders. Getting a good shader HLSL compiler to work on a non Windows platform is tricky. Work is under way to get this done but it will take some time to get right. That leaves Mac (and Linux) developers a bit stuck. Well there is a solution, a custom Content Pipeline processor. This is where the Content Pipeline can show its pure awesomeness. Lets break it down, we have a shader we can to build. But we MUST build it on a Windows box. One way is to do it manually, but doing stuff manually is dull. Rather than opening a Virtual Machine and copying compiled .xnb files about, I wrote a pipeline extension. Its goal to take the shader code, send it to the Windows box. Compile it and send the result back to be packaged into an .xnb. MonoGame has a tool called 2MGFX. This is the underlying tool which takes HLSL .fx files and compiles them to HLSL or GLSL. So what I did was create a service which just shells out to the tool and gets the compiled code (or errors). We then return the results and use the existing packaging process to produce the .xnb file or throw an error. 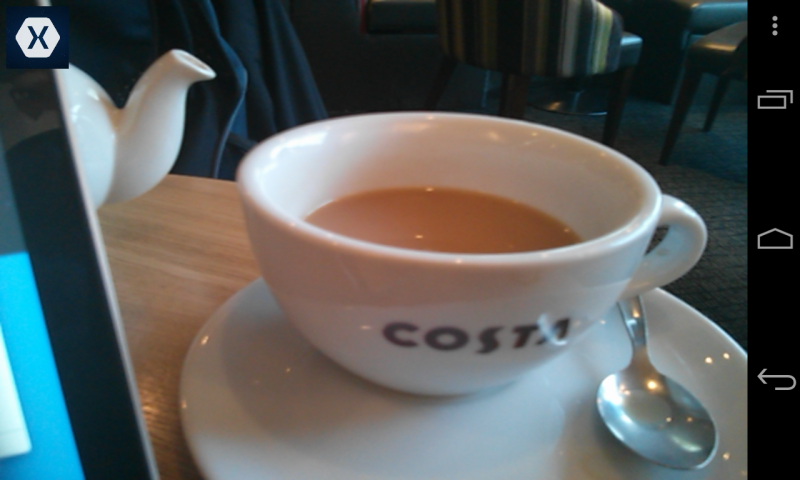 Then I went one further. Hosted the server in Azure, which saves me having to boot my VM each time I want to compile a shader. The resulting processor code for this is quite simple. The new class is derived from EffectProcessor. You will see that if we are running the processor on Windows we just fall back to the default EffectProcessor code. Which means you can use the same Processor on Mac and Windows. If you want to take a look at all the code you can find it here. Pretty simple code isn’t it! At some point I’ll see if we can replace the .Result code with async/await. But I’m not entirely sure how the Pipeline will respond to that. Using this extension could not be easier. Open your project and find the Packages Folder. Right click and select Add Packages. This will open the Nuget search Dialog. 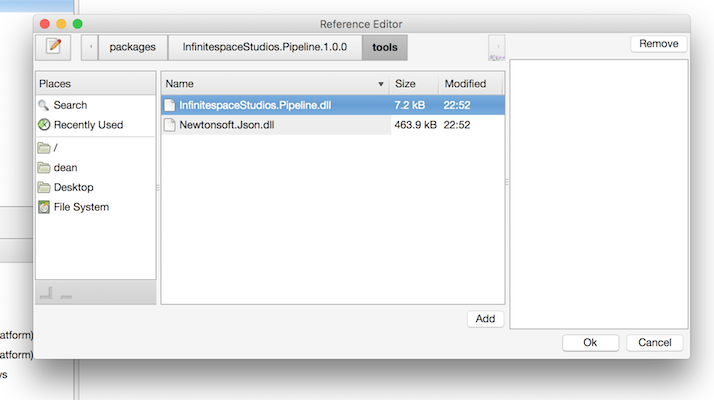 Search for “InfinitespaceStudios.Pipeline” and add the Package. Once the package has been added. Open the Content.mgcb file in the Pipeline Editor. 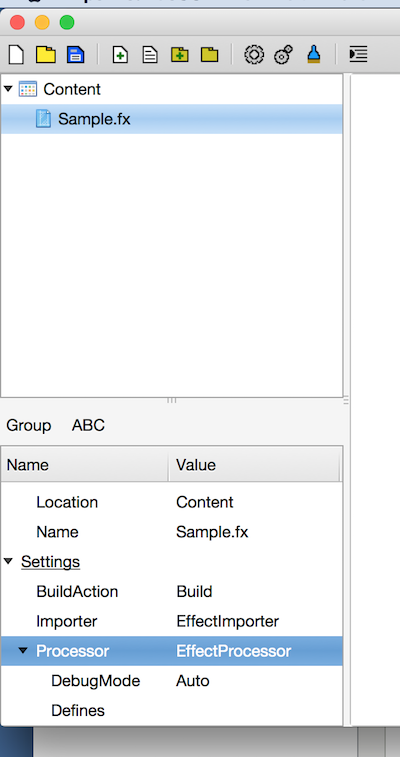 Select the “Content” node and then find the References property in the property grid. Double click the References property to bring up the Add References Dialog. Search for the “InfinitespaceStudios.Pipeline.dll” and Add it by clicking on the “Add” button. Note this should be located in the “packages\InfinitespaceStudios.Pipeline.X.X.X\Tools” folder. Once that is done, Save the Content.mgcb. Close it an re open it (there is a bug in the Pipeline Tool). The select the .fx file you want to change. 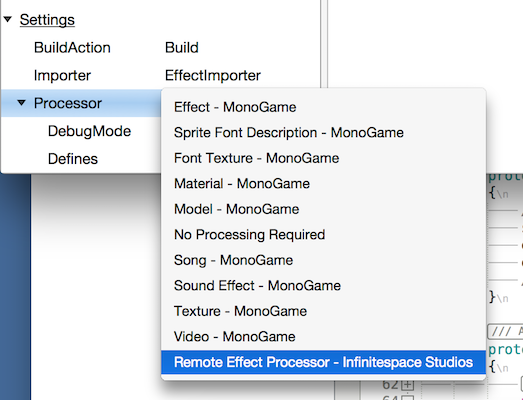 Select the Processor property and in the drop down you should see “Remote Effect Processor – Infinitespace Studios”. Select this Item. If you are using the defaults just Save the Content.mcgb. Close the Pipeline tool and Build and Run you app. It should compile without any issues. If there is a problem with the .fx file the error will be reported in the build log. If you are using a Custom Azure site or the Local Service on a Windows box you can use the RemoteAddress , RemotePort and Protocol properties to change the location of the server. Valid Protocol values are “http” and “https” if you have a secured service. 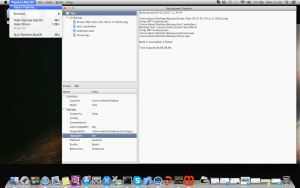 The RemoteAddress can be a CNAME or IP address. Hopefully this post has shown you what a cool thing the Pipeline system is. One of my future posts will be about creating a pipeline extension from scratch. So if you are interested watch out for it. In the mean time, if you are a mac user. Get compiling those shaders! In the past it might seem that Windows users of MonoGame get all the cool stuff, and Mac / Linux users are left out in the cold. To be honest for a while that was true, but the great news is that more recently that has begun to change. 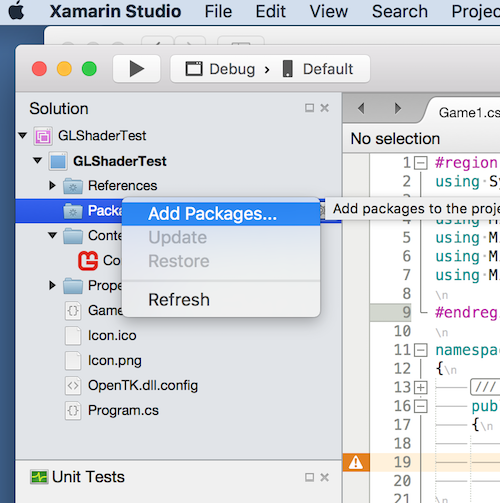 On going community efforts have resulted in both MacOS and Linux installers which will download and install templates into the Xamarin Studio and MonoDevelop. They also install the Pipeline tool which is a GUI you can use to build your content for your game. All that was great, but again Windows has something that Mac and Linux developers just didn’t have access to. Automatic Content Building, this is where you just include the .mgcb file in your project, set its Build Action to “MonoGameContentReference” and providing you created the project via one of the templates it would “just work”. Your .xnb files would appear as if by magic in your Output Directory without all that messy manual linking of .xnbs. So if you dig into your csproj which was created in Visual Studio via one of the MonoGame templates you will see a number of things. The first is a <MonoGamePlatform> element. This element is used later to tell the MGCB (MonoGame Content Builder) which platform it needs to build for. Next up is the <MonoGameContentReference> element which will contain a link to the .mgcb file.. This again is used later to tell MGCB which files to build. Note that you are not just limited to one of these. If you have multiple assets and different resolutions (e.g @2x stuff for iOS) you can have a separate .mgcb file for those and include that in your project. The system will collect ALL the outputs (just make sure they build into different intermediate directories). This part is responsible for adding the resulting .xnb files to the appropriate ItemGroup for the platform that we are targeting. So in the case of a Desktop build like Windows, Linix we use Content. For iOS and Mac we use BundleResource and for Android we use AndroidAsset. Because we are doing this just before the Build process, when those target platforms actually build the content later they will pick up the items we added in addition to any other items that the projects themselves included. Now the really interesting bit is that code above was not how it originally looked.. The problem with the old code was it didn’t work with xbuild, which is what is used on Mac and Linux. So it just wouldn’t work. But now the entire .targets file will run quite happily on Mac and Linux and have intact been included in the latest unstable installers. So if you want to try it out go and download the latest development installers and give it a go. Open your Application .csproj in an Editor. where $(platform) is the system you are targeting e.g Windows, iOS, Android. Xamarin announced something awesome yesterday. Indie game developers only need to have published a game in any framework on any platform to qualify. It is worth noting as well that porting you app to a Windows 10 Universal app will also allow your game to work on Xbox One (in the app section). This offer expires on the 31st of December at 9pm ET , so make sure you apply before the deadline expires. * Apple TV support was merged into the develop branch a few days ago. One of the many requests I see from customers of Xamarin.Android is the ability to “run a script” after the package has been built and signed, or do some process before the build process. Allot of people end up trying to use the CustomCommands which are available in the IDE to do this work, and shy away from getting down and dirty with MSBuild. The thing is, sometimes MSBuild is the only way to get certain things done. Note that this target is ONLY available on the .csproj NOT the .sln but that is ok because MSBuild does its just of resolving projects etc and it should build fine. You can also pass in addition parameters to define your KeyStore etc, more information can be found in the excellent documentation on the subject. Now we want to run a script after this has been done, Custom Commands can’t be used as they run at the wrong time in the build process, so what do we do? This is where MSBuild targets come in. What we need to do is add a custom MSBuild target which hooks into the build process After the SignAndroidPackage has run. and you should see the text “AfterSignAndroidPackage Target Ran” in the build output. If not add a /v:d argument to the command line, which switches the MSBuild output to verbose mode. The key thing here is the Target defines the “AfterTargets” attribute which tells MSBuild when to run this script. In this case after the SignAndroidPackage, there is also a “BeforeTargets” attribute which will run a target.. you guessed it.. before the target(s) listed in the attribute. Now we have a target that will run after the package has been signed. Next this to do is to get it to run our script, for this we can use the MSBuild Exec task. One thing to note is that its more than likely that some of your developers are running on Mac as well as Windows so we need to make sure that any command we do run will work on both systems. MSBuild targets can also define Inputs and Outputs which will allow the build engine to decide if it needs to run the target at all. That is something that you can read up on if you are interested in learning more, but for now if you just want to “run a script after the apk is built” this is all you need. 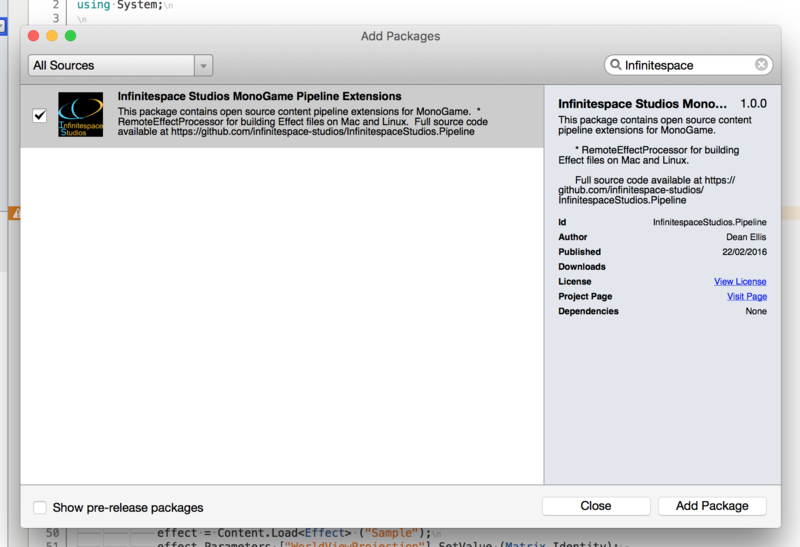 MonoGame – Content Pipeline … Why??? The MonoGame team have been putting allot of effort into a cross platform content pipeline, but given that for the most part we support loading native assets like .png, .mp3, .wav why bother? Well it all boils down to a couple of words.. performance, efficiency. Lets look at an example, graphics are probably the biggest asset a game uses, they are also a major resource hog. Textures will probably take up most of the room in your deployment and will be taking up most of the memory on your device as well. So lets say we have a 256×256 32 bit .png texture we are using in our game, we don’t want to bother with all this compiling to .xnb rubbish that people do, so we just use the texture as a raw .png file. On disk .png is very impressive in its size, that image probably only takes up 2-5 kb on disk, keeping your application package size down. Great! Now let look at a texture pre-processed using the content pipeline, because we know we are targeting iOS we know the GPU’s on those devices support PVRTC texture compression directly. So lets take our sample .png and compress that using PVRTC, what we end up with is a 32kb file (size depends on the texture,alpha channel etc). Hmm that is allot bigger than the .png on disk but that is not the whole story. The difference is there is no need to unpack/decompress it which saves on load time, also we can create a texture from that data directly so we only use 32kb of texture memory on the GPU not 262kb. That is a massive saving. Now we just looked at iOS, but the same applies to desktop environments. Most desktop GPU’s support DXT texture compression so the content pipeline will produce DXT compressed textures which can be loaded and used directly. The only platform which is a pain is android, because android does not have consistent support for compressed textures at the moment MonoGame has to decompress DXT on the device and use it directly. However even android will be getting compressed texture support. There is currently a piece of work happening where the pipeline tool will automatically pick a texture format to use, so for opaque textures it will use ETC1 (which is supported on all android devices but doesn’t support alpha channels) but for textures with a alpha channel it will use RGBA4444 (dithered) but also allow the user to pick from a wide variety of compression options manually such as PVRTC, ATITC, DXT/S3TC, ETC1 and RGBA4444. This will give the developer the choice of what to use/support. Now lets look at audio. All the different platforms support different audio formats, if you are handling this yourself you will need to manually convert all your files and include the right ones for each platform. Would a better option be to keep one source file (be it .mp3, .wmv etc) and convert that to a supported format for the target platform at build time? Ok it makes for longer build times, but at least we know the music will work. MonoGame uses ffmpeg to do the heavy lifting when converting between formats as it can pretty much convert any type to any other type which is really cool. This is an area that causes real pain, custom shaders. There are a number of shading languages you can use depending on the platform you are targeting. For OpenGL based systems that is GLSL, for DirectX based systems its HLSL, there is also CG from nvidia. The Effect system in XNA/MonoGame was designed around the HLSL language. It is based around the .fx format which allows a developer to write both vertex and pixel shaders in one place. Historically both GLSL and HLSL have separate vertex and pixel shaders, HLSL until recently compiled and linked these at build time, GLSL does this at runtime. Now without a content pipeline or some form of tooling a developer would need to write two shaders, one for HLSL and one for GLSL. The good news is the MonoGame MGFX.exe tool can create a shader from an .fx format and have that work on GLSL. It does this by using an open source library called libmojoshader, which does some funky HLSL to GLSL instruction conversion to create OpenGL based shaders but rather than doing that at runtime we do it at build time so we don’t need to deploy mojoshader with the OpenGL based games. All this saves you the hassle of having to write and maintain two shaders. Now the drawback of MGFX is that is only runs on a windows box at the time of writing. This is because it needs the DirectX shader tooling to compile the HLSL before passing it to libmojoshader for conversion (for OpenGL platform targets). 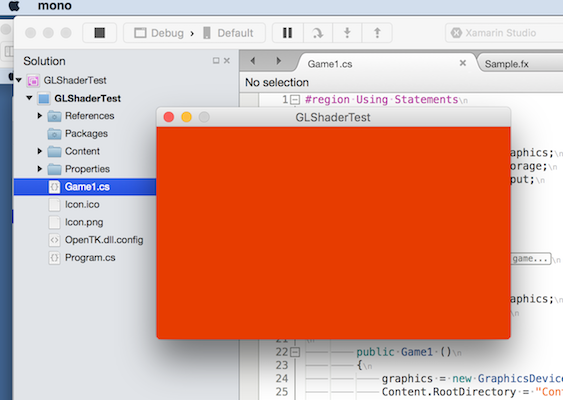 There is a plan in place to create a version of the .fx file format which supports GLSL directly so people who want to do custom shaders on a Mac or Linux can do, but this is still undergoing development so for now you need to use a windows box. For the most part the model support in XNA/MonoGame is pretty good. XNA supports .x, .fbx files for 3D models, MonoGame, thanks to the excellent assimp project supports a much wider range of models including .3ds. However some of these formats might produce some weirdness at render time, only .fbx has been fully tested. Also note that assimp does not support the very old format .fbx files which ship with most of the XNA samples, so you’ll need to convert those to the new format manually. 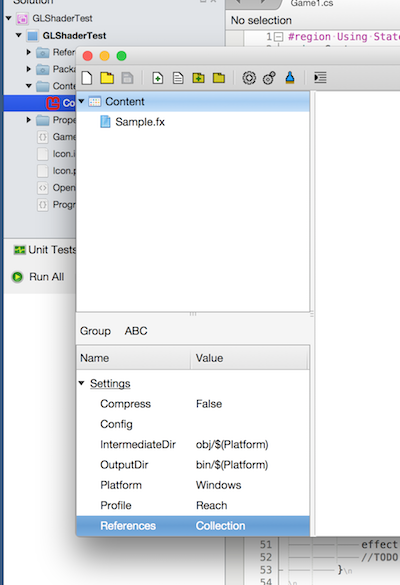 On nice trick I found was to open the old .fbx in Visual Studio 2012+ and then save it again under a new name. Oddly VS seems to know about .fbx files and will save the model in the new format :). Now what happens when you use a 3D model is that it is converted by the pipeline into an optimised internal format which will contain the Vertices, Texture Coordinates and Normals. The pipeline will also pull out the textures used in the model and put those through the pipeline too, so you automatically get optimised textures without having to do all of that stuff yourself. So hopefully you’ve got a good idea on why you should use the content pipeline in your games. Using the raw assets is ok when you are putting together a simple demo or proof of concept but sooner or later you will need to start optimising your content. My advice would be to use the Pipeline tooling from the outset so you get used to it. Information on the Pipeline tool can be found here. I will be covering in a future post how to produce custom content pipeline extensions for MonoGame which will allow you to optimise your own content or customise/extend existing content processors. So in one of my previous blog posts we covered how to scale your game for multiple screen resolutions using the matrix parameter in the SpriteBatch. Like all good problems that was just one solution or many, and since then things have moved on a bit. While that technique is still valid, the bits we did about scaling the Touch Points are no longer really necessary. In this post we’ll discover how to use the MonoGame Touch panel to get scaled inputs for touch and mouse as well as how to use RenderTargets to scale your game. What is a Render Target? While RenderTargets are really useful for things like Differed Lighting and other shader based things, in our case we just want to use it to render our game. Supporting lots of different screen sizes is a pain, especially when doing 2D stuff, if you are supporting both Mobile and Desktop/Console you will need to support screen resolutions from 320×200 (low end android) to 1080p (HD TV) or bigger.. That is a huge range of screen sizes to make your game look good on. Quite a challenge. So in our case rather than scaling all the graphics we are going to render our entire scene to a RenderTarget at a fixed resolution in this example 1366×768. Having a fixed resolution means we know EXACTLY how big our “game screen” will be, so we can make sure we have nice margins and make the graphics look great at that resolution. Once we have our scene rendered to the Render Target we can then scale that to it fits the device screen size. We’ll introduce letter boxing support so we can keep the correct aspect ratio like we did in the previous blogs. So lets look at some code. However what we really need to do before we draw the RenderTarget is calculate a destination rectangle which will “scale” the RenderTarget so it fits within the confines of the screen, but also maintain its aspect ratio. This last bit is important because if you don’t maintain the aspect ratio your graphics will distort. You can see from the code we calculate how much to offset the rectangle from the top and bottom/left and right of the screen to give the letterbox effect. This value is stored in barHeight/barWidth then used as the Top or Left values for the rectangle. The presentWidth/Height is the height of the destination rectangle. The width/height of the rect will match the ClientBounds depending on whether we are letter boxing at the top/bottom or left/right. Note we clear the background black before drawing to get the nice black borders. You can change that colour to anything you like really. What about scaling the Input? By setting the DisplayWidth/Height on the TouchPanel it will AUTOMATICALLY scale the input for you.. That is just awesome! But wait for it .. it gets even better. You can also easily turn the Mouse input into Touch input which is handy if you’re only interested in left click events. Now any mouse click on the screen will result in the Touch event. This is great if you want to debug/test with a Desktop app rather than messing about with mobile devices. This is all great but to be honest scaling a 1366×768 texture down for 320×200 will look awful! So you need to be a bit smarter about the RenderTarget size you pick. One solution might be to detect the screen size and scale down the render target but factors of 2 (for example) and use smaller textures. For example at full resolution 1366×768 you use hight res textures (e.g @2x on iOS) but on lower resolution devices you use a RenderTarget of half the size of your normal one and normal sized textures. Obviously you will need to scale your games physics (maybe) and other aspects to take into account the smaller area you have to deal with.. or make use of a 2d matrix camera. The point being that smaller devices don’t always have the same capabilities are larger ones so you need to keep that in mind. A full “Game1.cs” class with this code is available on gist here. Its finally done, the Pipeline tool is now working on OSX (and Linux). Over the christmas break I worked with another MonoGame contributor (@cra0zy) to finish off the Tool and build the Mac OS Installer. There might be a few issues with Audio/Song’s atm, the MonoGame guys are looking to move over to using ffmpeg to get a better cross platform experience. There is however one thing missing completely, Effect compilation. Because of dependencies on DirectX the 2MGFX tool cannot be ported to Mac (or Linux) at this time. There is a plan to implement a GLSL style version of the HLSL .fx format which will allow Mac and Linux (and Windows) developers to use GLSL in their shaders rather than HLSL. This will be designed to work cross platform from the outset. For now Effect files will need to be compiled on Windows. Even with this functionality missing this is still an extremely useful tool, I would highly recommend anyone using MonoGame on a Mac to check it out. Don’t forget, MonoGame is a community driven project. The community is extremely friendly and helpful, so don’t be scared to join in. Don’t be just a consumer, ‘go fork and contribute’. Xamarin recently published a interview with George Banfill from LinkNode on their Augmented Reality product, you can see the full interview here. Since then I’ve had a number of requests from people wanting to know how to do this using MonoGame and Xamarin.Android. Believe it or not its simpler than you think to get started. It might not be pretty but it does the job, also it doesn’t handle a flipped view so that will need to be added. The next step is to figure out how to show MonoGame’s GameWindow and the Camera View at the same time. Again, that is quite easy we can use a FrameLayout like so. This is almost the same as the normal MonoGame android code you get, but instead of just setting the ContentView to the game Window directly we just add that and the CameraView to a frame layout and add that. Note that the order is important, the last item will be on the bottom so we want to add the game view first so it is over the top of the camera.